People, who care a lot about their lawns and landscapes, no matter how big or small, are fully aware that sometimes Fertilization & Weed control treatments resemble gambling. Mixing your own chemicals at home hoping they will be powerful enough to deter weeds but not powerful enough to kill grasses and plants is a trial-and-miss type of experiment. The major problem with store-bought chemicals is that they use the “one size fits all” principle. Of course, you follow the instructions carefully, but are you sure that while you fend off weeds, you don’t also kill the micro-ecosystem living on your property? Let’s see what our Fertilization & Weed control Worthington OH specialists have to say about this. 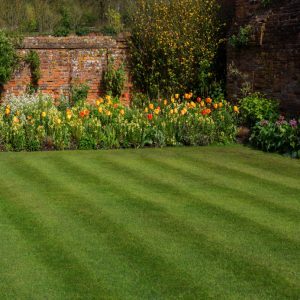 The first and most obvious problem of DIY Fertilization & Weed control is that you will never be sure you don’t alter your soil’s chemical makeup or pH. Weeds may disappear, but how does your garden grow? And speaking of gardens, your lawn and landscape is a micro-ecosystem hosting not only grasses and plants, but also beneficial insects, pollinators, wildlife, and even pests for birds to feed on. In case you also cultivate vegetables or fruits you should know that chemicals shouldn’t get anywhere near them. Also, children and pets are incredibly vulnerable to fertilizers and herbicides. DIY Fertilization & Weed control are not good ideas if you are not an expert chemist and have a background in horticulture. This is why it is always better to leave some tasks to professionals, as even if your intentions are good, the results may be catastrophic. Soil and vegetation testing to understand the soil’s pH and fertilization needs and the level of vulnerability of your plants to certain substances. A full evaluation of the micro-ecosystem living on your property, including beneficial insects and wildlife. A good understanding of the weather challenges of your area and environmental restrictions you need to follow. A year-round comprehensive Fertilization & Weed control program – tailored and personalized to address the weed problems without endangering the soil, plants, people, pets, or the environment. Follow-up sessions to see how things work and proper adjustments to make sure only weeds are deterred from your property. 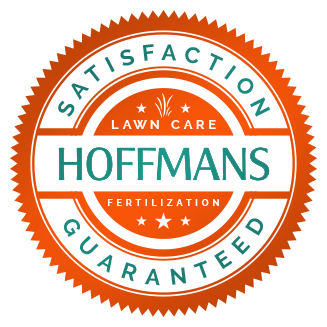 If you want to learn more about our Fertilization & Weed control Worthington OH services, call us right now and ask for a free estimate!